There’s always something wonderful going on at our practice! 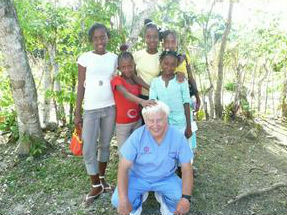 Every year Dr Stephen Dalseth goes to Gris Gris, Haiti to volunteer. The town is about 5 hours outside Port au Prince. It is a has a small church which is the sister parish to Church of the Risen Savior in Burnsvillle, MN. Over the years, volunteers, including Dr Dalseth have helped build a well for water, finish a primary school, and help create sustainable agriculture. 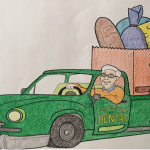 When he is in Gris Gris his primary role it to provide dental care to those in need. This year he is going to begin collecting data on the decay rate for all the school age children at the school. Feed My Starving Children is a christian based organization that hand packs meals specifically designed for malnutritioned children. 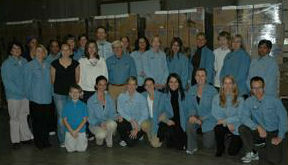 The meals are delivered to nearly 70 different countries throughout the world. 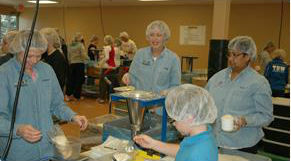 FMSC has delivered over 56 million meals. We think that it is important to give back to the community.